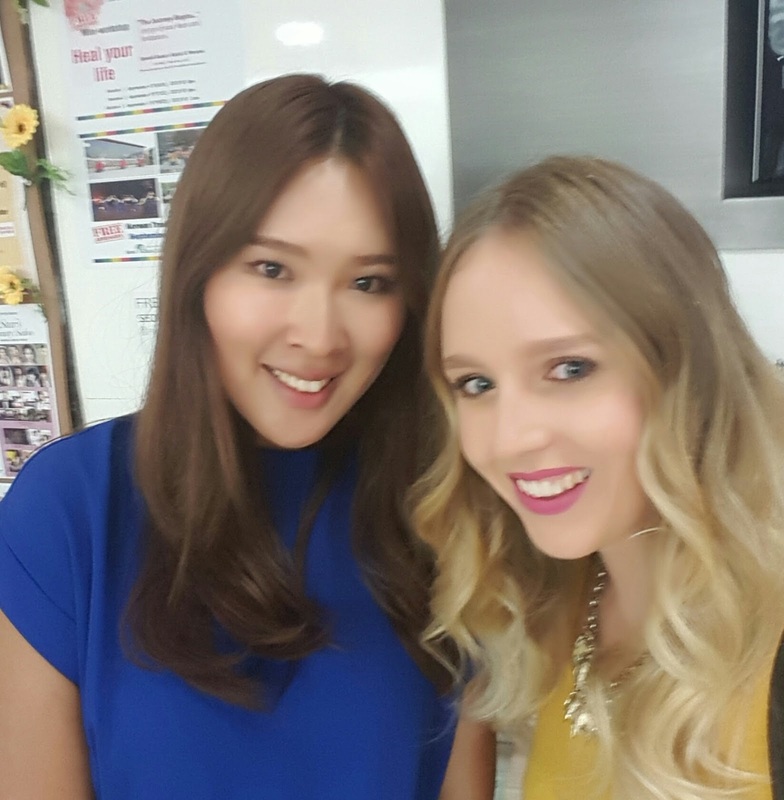 I’m back with more beauty and Seoulstyle as I explore hair salons and makeup seminars! 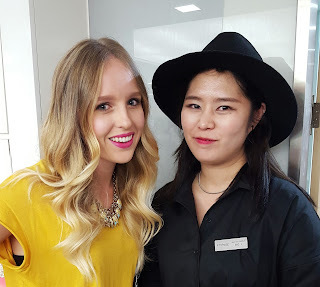 Part 1 was all about getting my balayage at Juno Hair in Myeongdong. If you missed it, go read about it here, and then check out the video below. Now that you are all caught up, here’s Part 2. 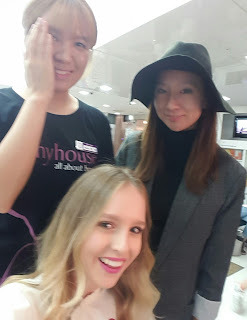 I recently heard about a hair and beauty seminar that was being hosted by Jenny House and the Seoul Global Cultural Center. It sounded like something worth checking out, so I registered to attend. If you are unfamiliar with the Global Center, it is a center located in Myeongdong that specializes in helping visitors enjoy their time while staying in Korea. They offer a variety of programs in English and provide a place for free information. Some of their programs include cultural experiences, such as trying on hanboks, cooking classes, and Kpop dance. This program was hosted with Jenny House, a premiere high end beauty salon that specializes in hair and makeup for celebrities and weddings. They have 3 salons located in Chungdam (Apgujeong). I didn’t know much about the salon beforehand but I do know about Chungdam. It is basically the Rodeo Drive of Seoul; a major celebrity shopping and beauty hotspot. If you checked out my Apgujeong video then you are familiar with the area. I arrived at the center and tables were laid out full of hair tools and makeup. We had an introduction presentation by Hee Lee, the marketing and PR director for Jenny House. Once the model arrived they artists got started on her makeup. Dewy, fresh, youthful. This is Korean style makeup that has been trending for some while now. Koreans have been “strobing” before we even knew it was a thing! A big emphasis on highlighted cheekbones, nose, and temple. Gradient tinted lips. No contouring. That sums up the Korean makeup style right now. Her hair was then curled into the basic wave, showing and explaining the steps along the way. The stylist took the waves and showed how to create a loose ponytail as another option to the look. Both resulted in a put together look that could go day to night. As easy as a ponytail looks, to wear one that is chic takes a bit more effort so it was interesting to watch her technique. 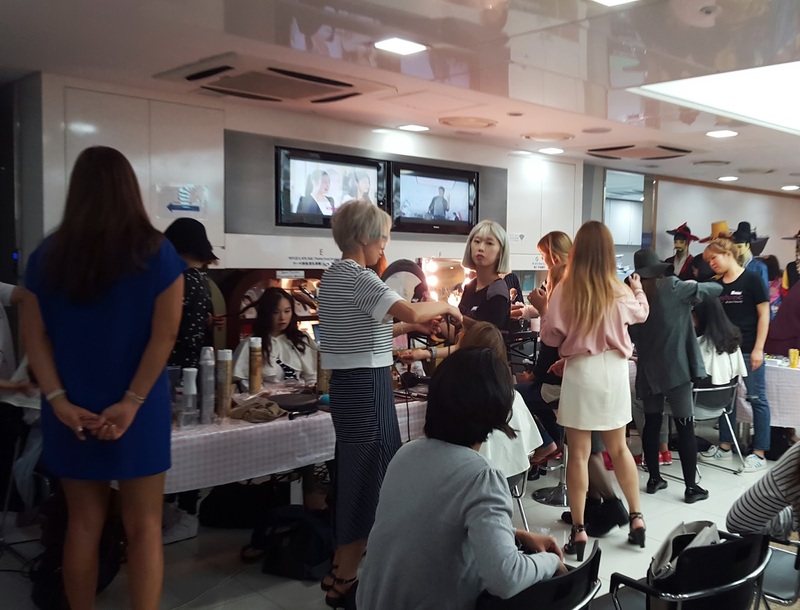 After the seminar there was a team of makeup artists and hair stylists from Jenny House waiting to give mini-makeovers to everyone in attendance. I wasn’t expecting this at all so it was a fun surprise. Just coming from the salon my hair was already done, so I had a good laugh with my stylists as we chatted and make a few touchups. Overall the gals were incredibly sweet. I was able to speak to many of the MUAs and stylists and took a few selfies along the way. 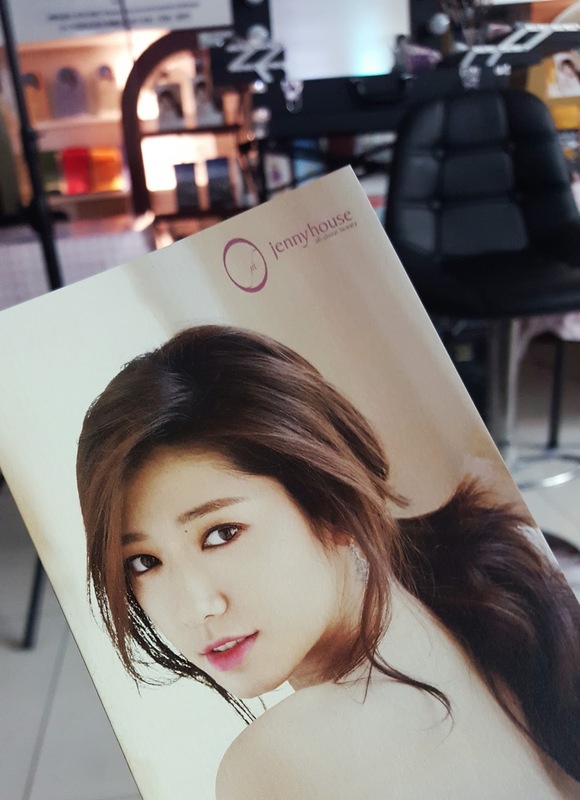 I hope to visit Jenny House in the future and maybe do a video on their salons in Apgujeong. I do post about events around Seoul on my Facebook page, so pop over there and give it a like for newfeed updates! Next Post Full Color Nail Art in Seconds! can you tell me how much for hair cut in Jenny’s house . thank you ? Hello Poki! I don’t know how much they charge because it all depends on the length/cut you want. They work with foreign clients so try giving them a call if you are local 🙂 Good luck!